NRA TV Host Flips Out Over GOP "Hell List": It's A Road Map To The Full Weaponization Of Government [VIDEO] - Joe.My.God. 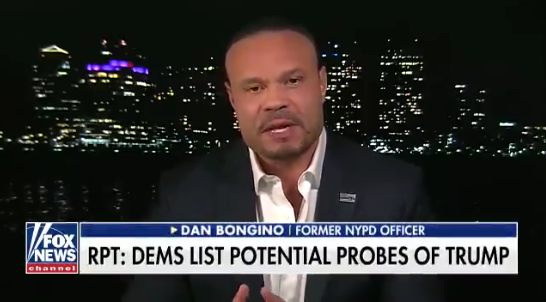 NRA TV host Dan Bongino appeared on state television this morning to fearmonger Trump’s cultists about the just-leaked GOP “hell list” mentioned in the post below. “You know what it really is? It is a road map to the full weaponization of government and, frankly, Steve, it’s one of the most frightening things I’ve seen in a very long time. This has been the Democrats’ dream forever. Full weaponization of government by a couple of things, and if you go down that list, you will see exactly how they plan to do this. It’s by using judges to legislate from the bench, effectively usurping power.